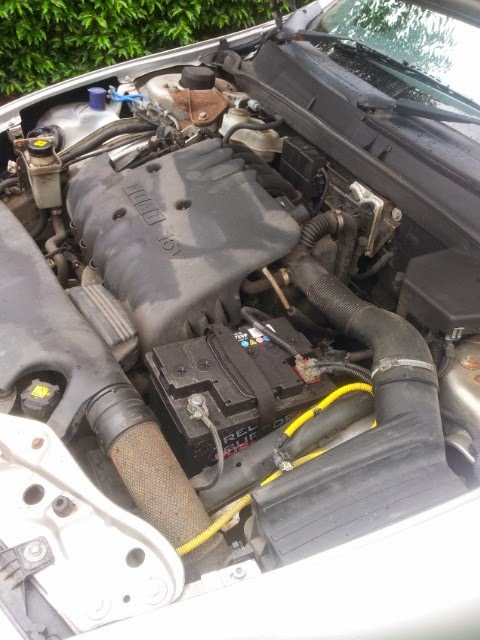 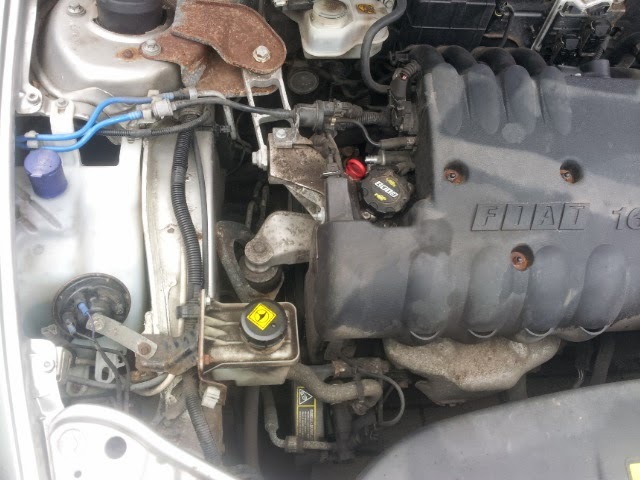 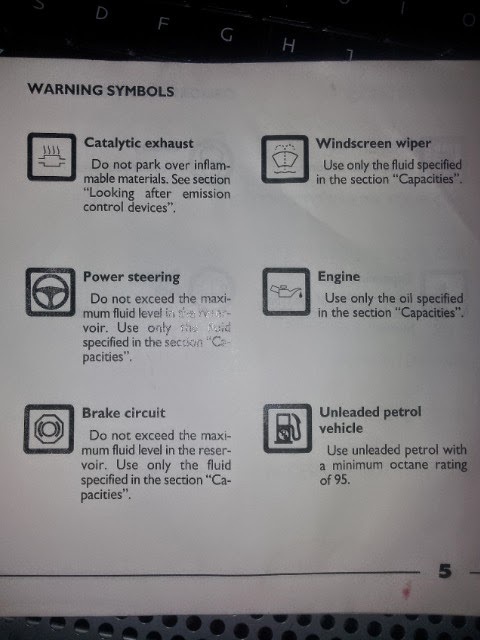 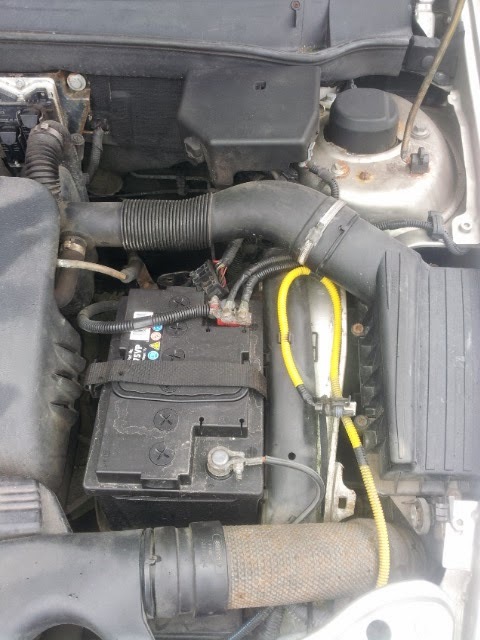 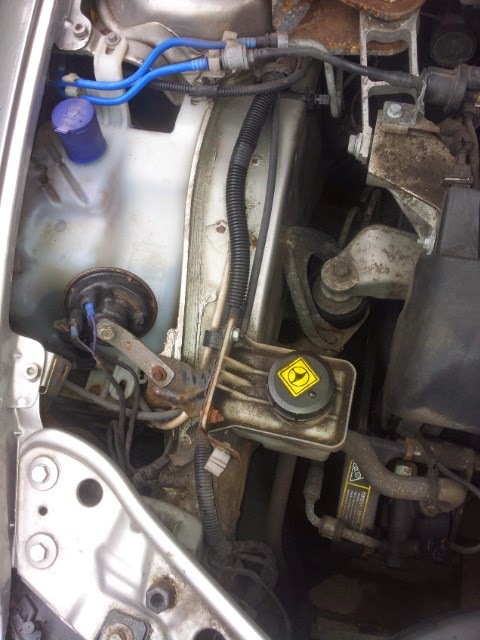 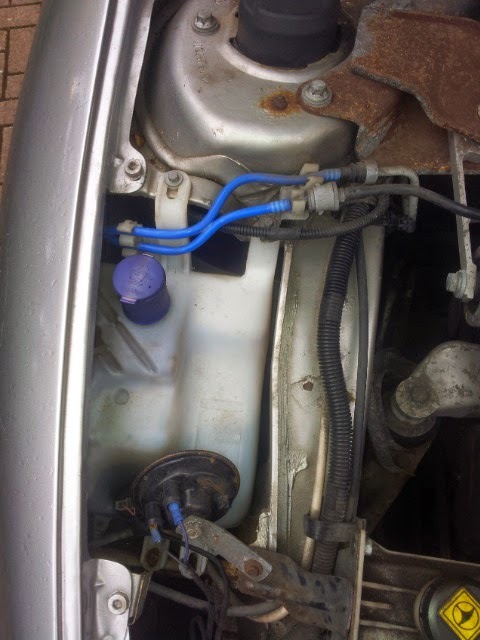 In this picutre, the power steering reservoir with an orange cap, while windscreen wiper fluid a blue cap on top left. 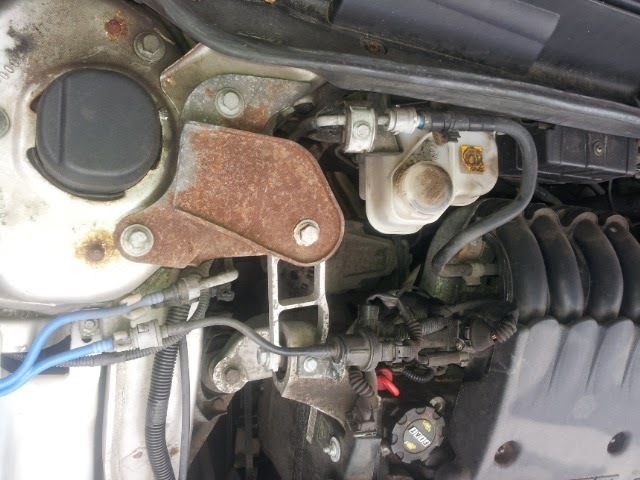 You can see the orange coloured sticker on the brake fluid reservoir. 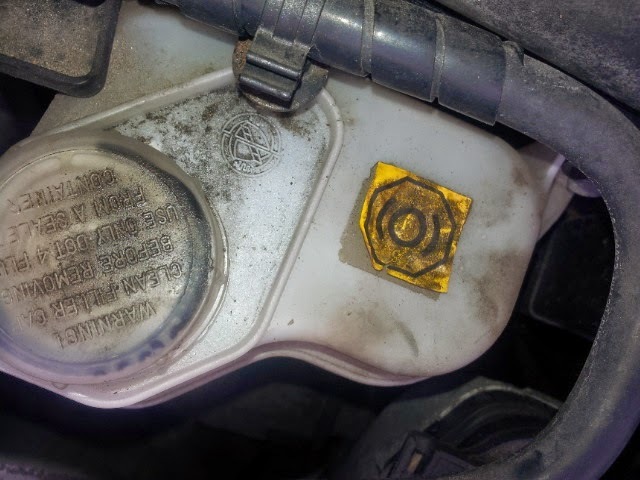 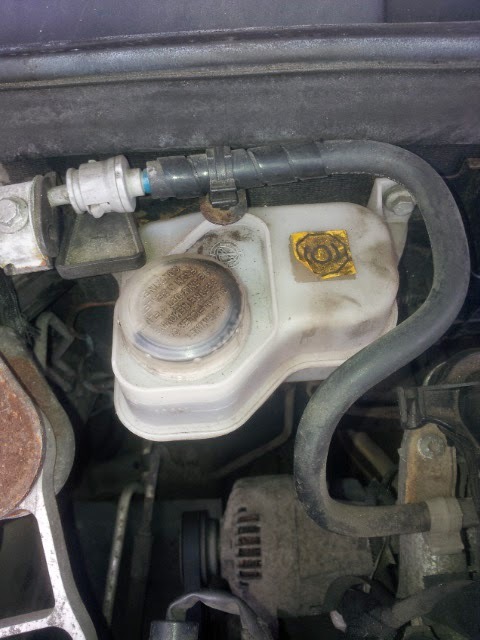 Coolant reservoir with a hot steam warning, it says you must not open the cap when the engine is hot.